Stocks finished Thursday lower, their first negative day of the week, but markets were ultimately little-changed as we’re more or less in a holding pattern ahead of the Federal Reserve’s policy announcement next Wednesday. The labour market is still looking good. Last week, the May jobs report was a disappointment. The US economy added just 38,000 jobs and the unemployment rate fell to 4.7% on account of a decline in the size of the workforce. But all the data we’re getting on the periphery of the labour market — including things like job openings and initial jobless claims — still point to better days ahead for US workers. On Thursday, the latest weekly report on initial filings for unemployment insurance showed these totaled 264,000 last week, continuing the strong trend in this measure that indicates the number of people who are getting laid off and don’t expect to be able to find new work is at a cycle low. Luke Kawa at Bloomberg on Wednesday wrote that according to research from Steven Englander at Citi, initial claims tend to rise after a bad jobs report number ahead of recession. And given that the trend in claims, at least for now, appears to be holding up after a worse-than-expected jobs report, the labour market seems broadly intact. The balance of power in the labour market, additionally, appears to remain in the hands of employees over employers as the number of days it takes to fill a job opening rose to 29.3 in April, a new record according to DHI Group. But in recent months we’ve also noted the growing divergence between openings and hires, and while there is a positive spin to be taken on the elongated recruitment process for many employers, there is also a clear skills gap in the US labour market that hasn’t been successfully closed. People are worried out there. About bond market liquidity. About profit margins. About Canada’s housing market. 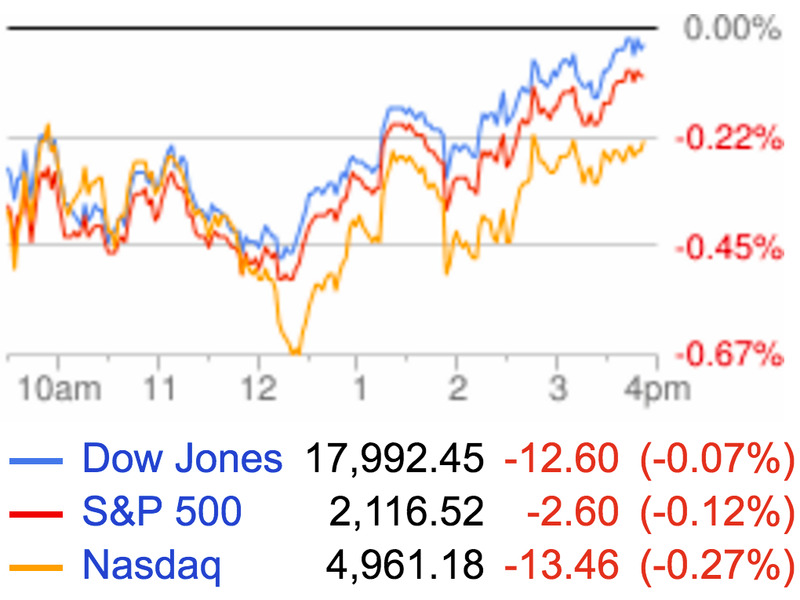 And once again, about the stock market. In a note to clients this week, Goldman Sachs — which recently moved its view on stocks to neutral — outlined how the risks for stocks continue to look skewed further to the downside than the upside. “We think elevated equity valuations and the lack of growth acceleration since mid-2014 have made equity markets more fragile and there have been several drawdowns because of ‘growth scares’ or external shocks during that period,”Goldman’s Christian Mueller-Glissmann wrote. And when stocks break, as has been the case a few times in the last couple years as we’ve seen short, violent 10%(ish) moves on a few occassions, the chances are these moves end up being to the downside. Also in concerns about the stock market, George Soros is reportedly getting back into trading and has bet on gold and against stocks. Josh Brown, however, had a great post on what is to be taken from news that one of the market’s biggest macro legends is back in the game. Twitter shares fell about 2% on Thursday and closed right around a record low. President Obama said on Thursday he was endorsing Hillary Clinton for president. Not a surprise, but one of the final pieces of the puzzle to fill in what is sure to be an exciting (!?) five months before the presidential election. This video was first circulated on Twitter. Presumptive Republican nominee Donald Trump then took to Twitter — the platform that in many ways has powered his campaign from farcical afterthought to one step from the White House — to trash the move. The basic joke here is that if someone says something wrong, or bad, or foolish (and so on), you tell them to delete their account. Mostly so they can’t do it again, but also because that is the apt punishment for being unfunny while trying to be funny on the internet. Just scrap the whole thing, delete your account. This is mostly arcane, insidery humour that makes people feel ever more distant from the platform if they’re not already active on Twitter. It’s hard to draw someone’s eyeballs to something new when the platform’s most successful broadcasts are inside jokes. I’m guessing all the major national broadcasts will put Clinton’s tweet in the A Block this evening. Or maybe you’ve seen a news story about it on Facebook. But most people didn’t get the news about Twitter that happened on Twitter from, well, Twitter. Which seems to be sort of the problem. Alphabet’s nightmare Nest unit has a new product, Steve Kovach reports. Ridiculous Polish mortgages could be at the heart of another banking crisis in Europe. What it’s like to get busted for insider trading. Short seller Andrew Left compared the company that owns Men’s Wearhouse and Jos A. Bank to the ugliest colour in the world.